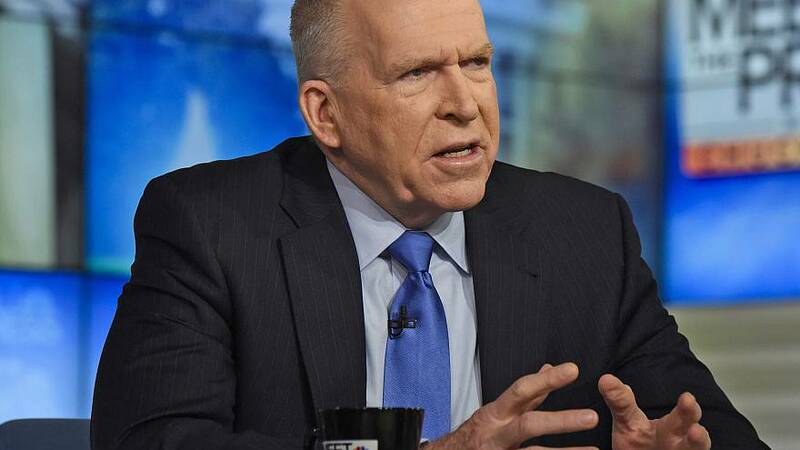 Former CIA Director John Brennan, one of several high-profile critics of President Donald Trump to be sent a pipe bomb in the mail, criticized him on Thursday saying the American people deserve better after the president attacked the media on Twitter. "Stop blaming others. Look in the mirror. Your inflammatory rhetoric, insults, lies, & encouragement of physical violence are disgraceful," Brennan, senior national security and intelligence analyst for NBC News and MSNBC, said in response to an early morning tweet in which Trump again slammed media outlets as "fake news" one day after CNN and prominent Democrats were sent explosive devices. "Clean up your act....try to act Presidential. The American people deserve much better. BTW, your critics will not be intimidated into silence," he added. Trump lashed the media on Thursday for "purposely false and inaccurate reporting." He also said that a lot of the "anger we see today in our society" is caused by the media. "It has gotten so bad and hateful that it is beyond description," Trump posted. The president's Twitter comments came after he talked about unity and civility before a bill-signing event at the White House Wednesday afternoon as several packages sent to political and media figures were being discovered throughout the day. "I just want to tell you that in these times, we have to unify. We have to come together and send one very clear, strong, unmistakable message, that acts or threats and political violence of any kind have no place in the United States of America," he said. 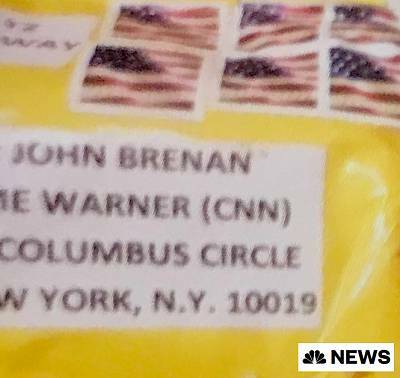 On Wednesday, Brennan's name was among those sent manila packages containing pipe bombs with wires and explosive powder. The envelope addressed to him arrived at CNN's New York City office. The package, discovered in the mailroom of the outlet's Time Warner building, also contained an unknown non-combustible white powder inside the envelope. On the bomb itself was a print-out that shows a parody ISIS flag with the silhouette of three women above the words "Get 'Er Done," a catchphrase from Larry the Cable Guy, a senior law enforcement official said. The parody flag was originally created in 2014 by World News Bureau, a right-wing parody site, for an article it posted titled "ISIS Vows Retribution For Counterfeit Flags." It has since been adopted by right-wing forums and websites. Others to be named on packages included former Vice President Joe Biden, actor Robert De Niro, former Secretary of State Hillary Clinton, former President Barack Obama, billionaire George Soros, former Attorney General Eric Holder and Rep. Maxine Waters, D-Calif, who received two mailings. The bombs all had a return address that belonged to Rep. Debbie Wasserman Schultz, D-Fla.